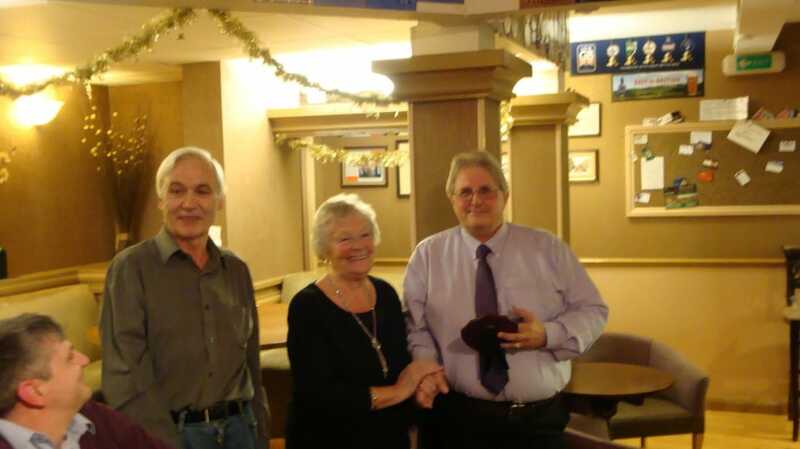 The evening of Monday 12th December, 29 club members and their partners enjoyed their Christmas Dinner at The Stirrup Cup Public House and waited to discover who were the winners of the Keith Carey Memorial Shield and the Maureen Millers Memorial Cup. 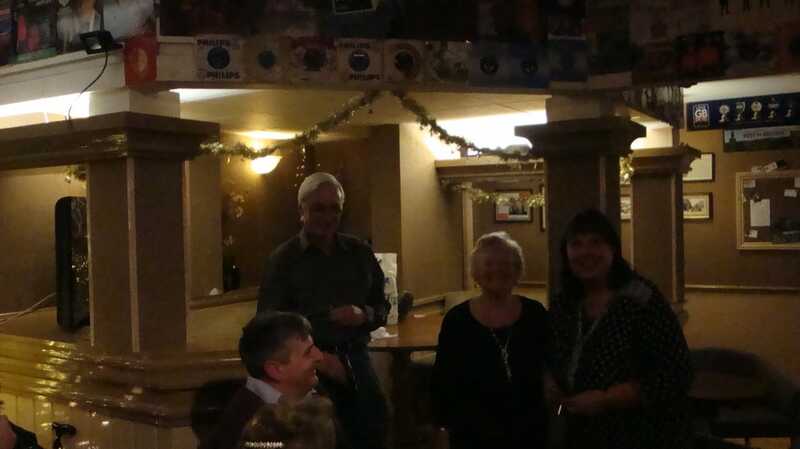 Welcome as always was Maureen and Kim Carey with their family and were kind enough to present the awards for 1st, 2nd, and 3rd to the winners of the "Model Voted the Best in Club" for this year. Alan Burgess was surprised to receive first place for his outstanding scratchbuilt model of an Australian Paddle Steamer "Murrey", just as surprised was Janet Beard who was won second place for her lovely Pilot Boat, third place was awarded to myself (Nick Brown) for a 1870 racing schooner called "Cambria". 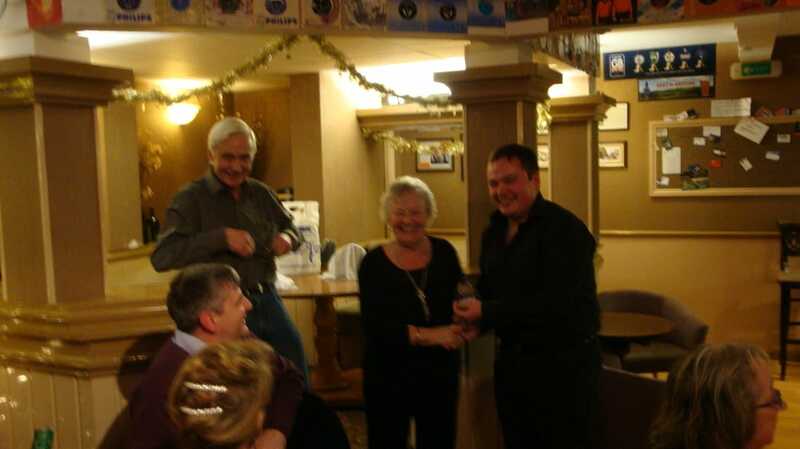 Paul Millers and the Chariman, Steve Brown, then stood up to award the winner of the Maureen Millers Memorial Cup. 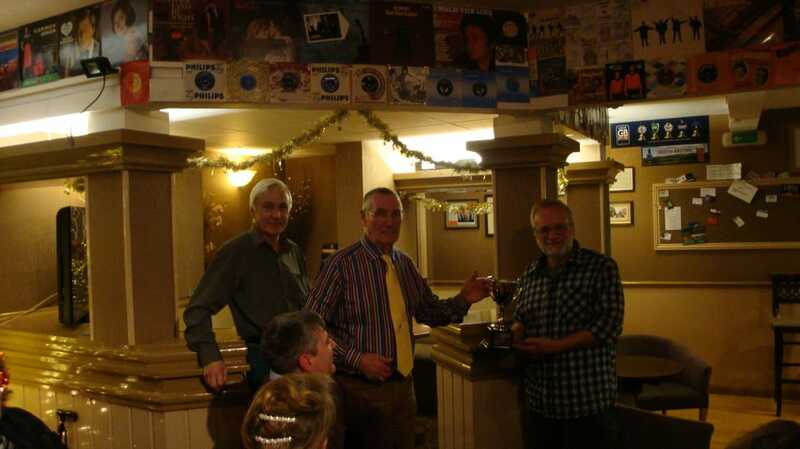 This cup was awarded to Roger Clements in 2015 for his dedictation to his hobby of restoring vintage model boats and this year the cup was awarded to a similar person- he started his build almost 14 years ago and final finished the model this year displaying her at his first visit and exhibit at Warwick- Ron Kingdon was shocked to win the cup for his rendition of the Dreadnought- type battleship HMS Agincourt from WW1. A thoroughly enjoyable evening of hijinks and fun-many thanks to Clive and Janet Beard for organisng the Christmas Dinner evening and I'm sure we will look forward to 2017. Merry Christmas and a Happy New Year to all! P.S. Thanks to Clive Beard for the photos.